Here a nasi, there a nasi, everywhere a nasi nasi. 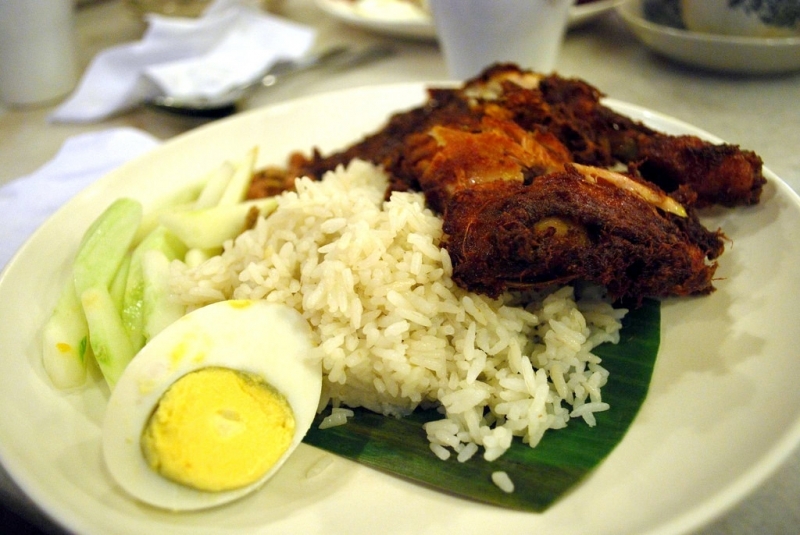 If you’ve travelled to Malaysia, you must be familiar with the word NASI. 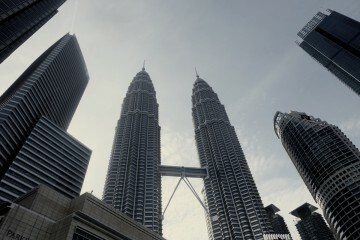 In my two-year stint in Malaysia, I have heard, eaten, laughed, slept and smiled the word Nasi. That’s right, and I have loved every bit of it. 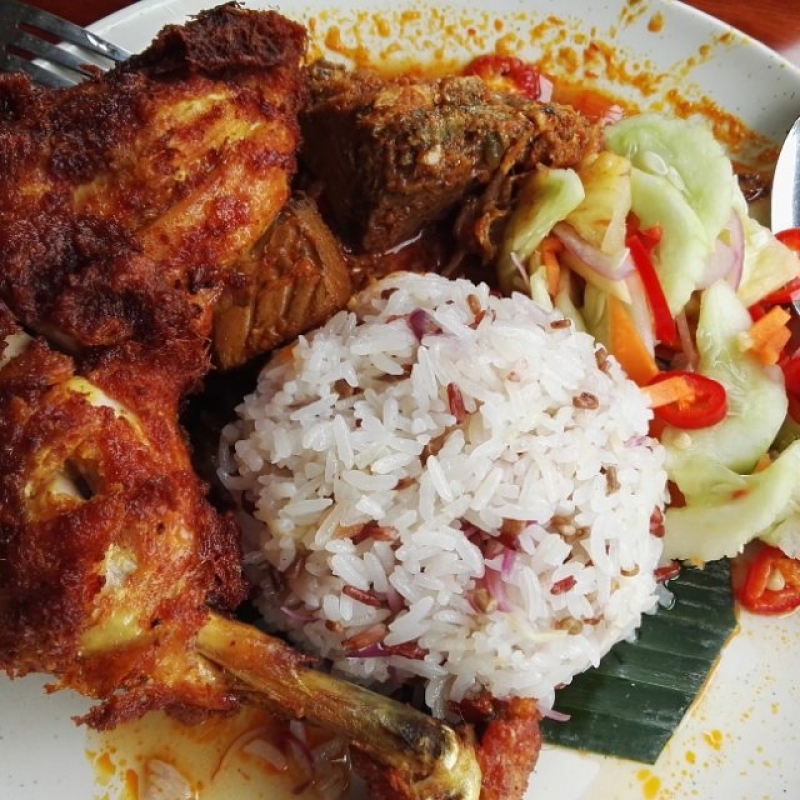 Nasi is the Malaysian term for rice. 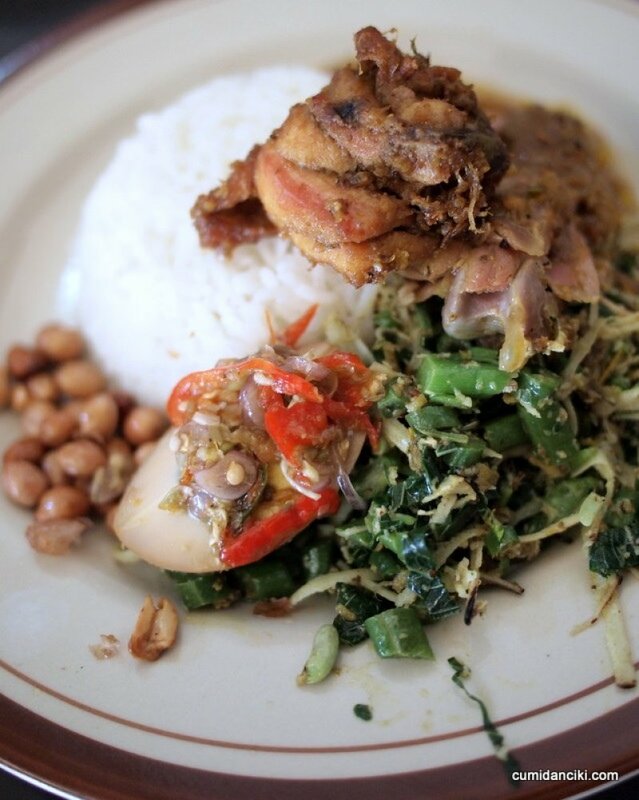 Rice is so popular amongst the locals that the dishes around it have evolved into fancy preparations over the years. 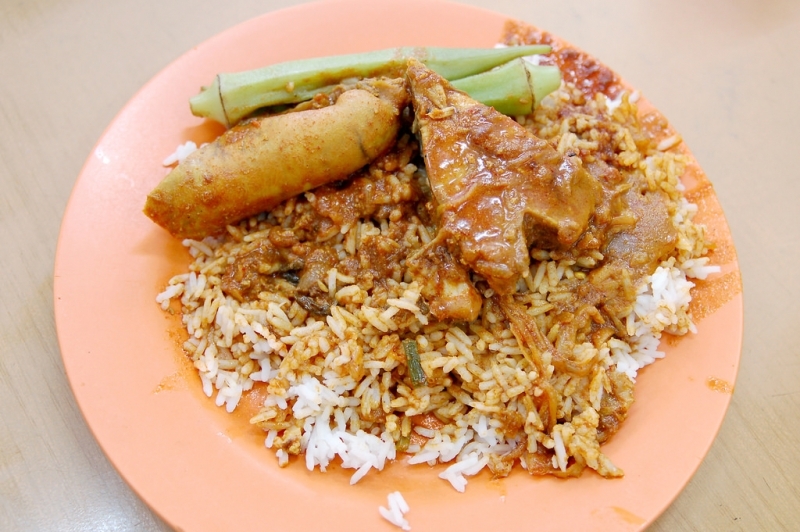 Here are some of my favourite nasi preparations to get you drooling and longing to taste a bite of Malaysia. This fragrant rice is cooked in coconut milk. Its preparation involves steaming rice in pandan leaves to impart the aroma to each grain. Have it with fried chicken, a meaty curry or prawns in a paste-like gravy. Its accompaniments steal the show – peanuts, cucumber slices, boiled egg, ikan bilis (anchovy) and sambal (hot sauce). 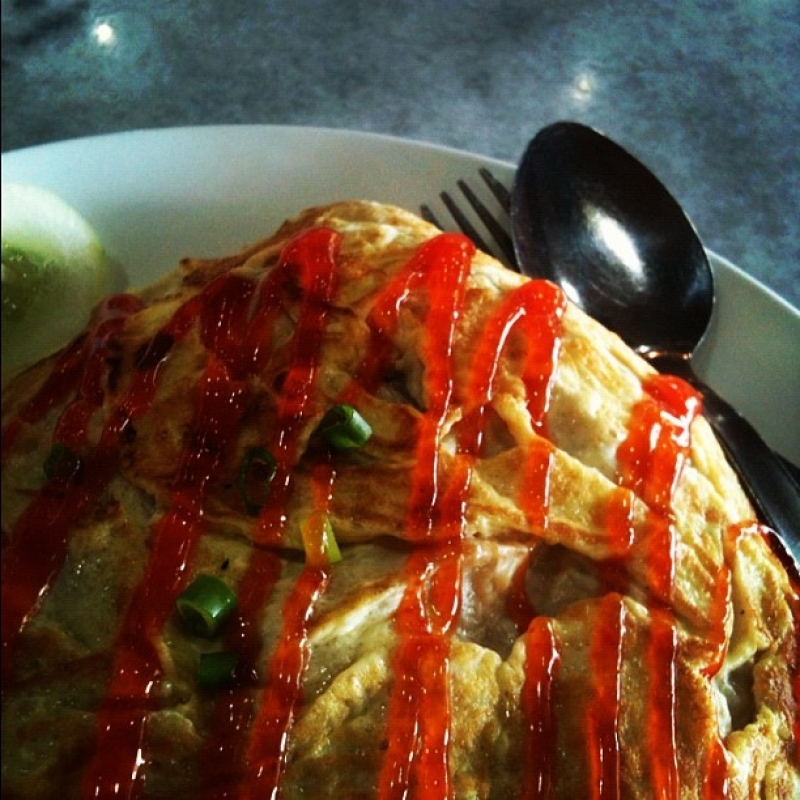 Although it can be eaten any time of the day, it qualifies as the breakfast food of Malaysians, especially in the region of Kelantan. Ulam refers to a side dish, especially salad. Nasi ulam is an interesting preparation that mixes boiled rice with green leafy vegetables, salads, herbs, shoots and onions. The most commonly used leaves are the kemangi or lemon basil and pegaga or pennywort. A common version includes shredded fish in the mix. Additional sprinklers include wild pepper leaves or daun kaduk and cashew leaf shoot or pucuk gajus. 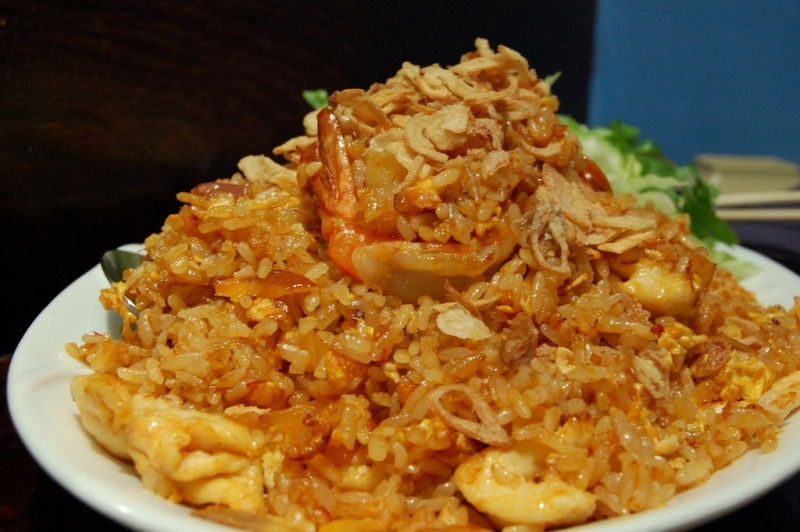 One of the most commonly heard rice items is the famous nasi goreng. Goreng means fried. This fried rice is spruced with spices, garlic and shallots, sprinkled with soy sauce, shrimp paste and chillies. Most of the locals like to have it with chicken, prawns and eggs. Thanks to the strong sauces used, it has a rather earthy and strong flavour. This, by far, is the prettiest dish of all times. 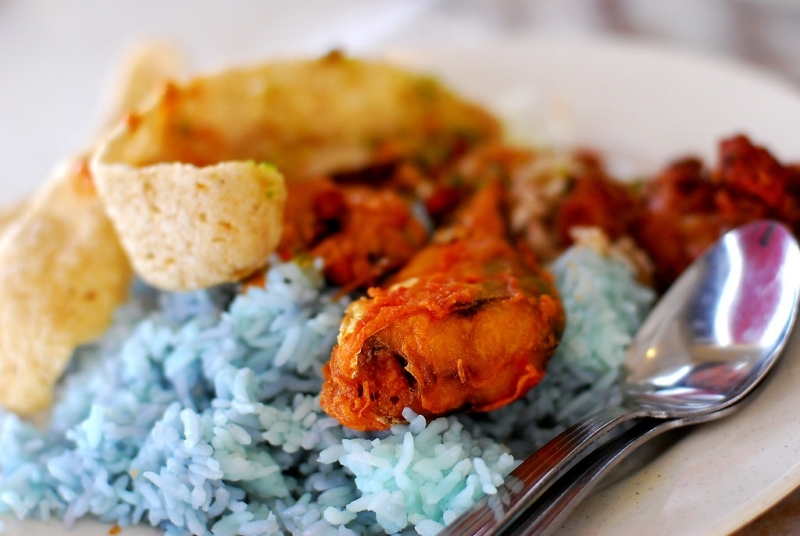 Once again, a Kelantanese delight, the rice has a pretty blue tint especially extracted from the butterfly-pea flower petals. It is best eaten with crunchy and tangy sides like crackers, dried fish, pickles, fried chicken or salads. Some of them just cannot do without solok lada (mackerel-stuffed chillies) or keropok (deep-fried starch snacks). Think chillies, think nasi paprik. The dish owes its flavour to chillies sautéed and poured over fried rice. As long as the chillies are in place to numb your taste buds, it can be made with a combination of chicken, mushrooms or other vegetables to which spices, herbs, lemongrass and onions are generally added. How is it best had – with a curry, of course. This rice has a special meaning – it represents rice on shoulder. 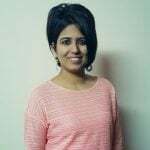 Muslim immigrants had got these rice sacks on their shoulders all the way from India and neighbouring areas. 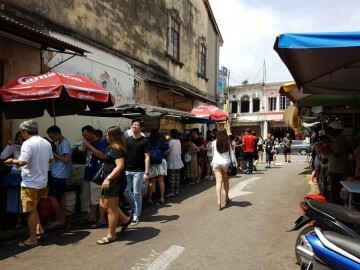 The mamak stalls or kandar outlets were first established near the ports of Penang, where the workers would bank on this rice preparation for their lunch in the 19th century. What is it served with? It is served with a variety of curries poured right on top mostly made of okra, brinjal or bitter gourd. Besides that, you could have the preparation with lamb, chicken, beef, prawns or any other curried meat of choice. Nasi ayam is literally chicken rice. You will find this at nearly every stall or restaurant with a lot of variations, sometimes with barbecue sauce, pepper sauce or extra grilled veggies. 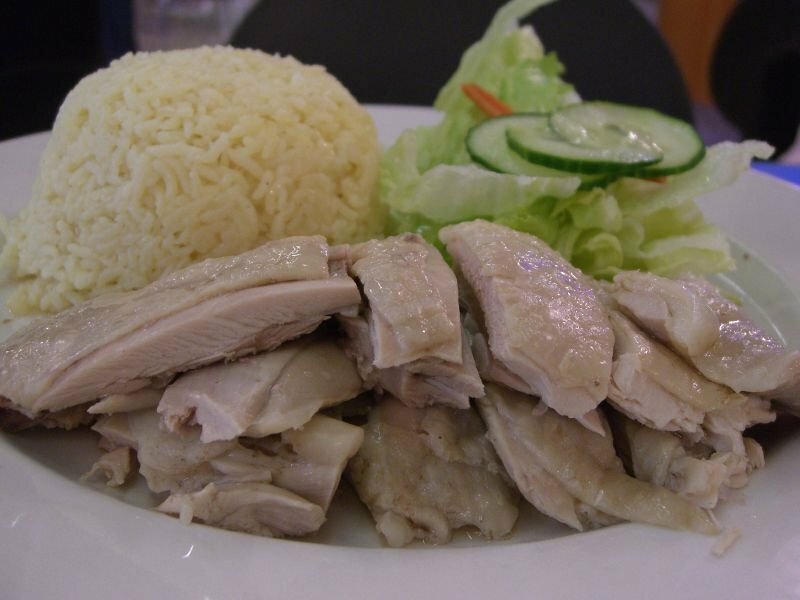 However, a special mention of Hainanese chicken rice has to be made. Hainanese immigrants brought this special recipe with them all the way from China. Full chicken is poached and the stock is then treated with spices, herbs, garlic and onions to be used for the preparation of the rice. Any accompaniments? Well, you can have it with a clear soup, salad or chilli and garlic paste. Nasi dagang is a heavy and satisfying meal in itself. You could call it trader’s rice steamed in coconut milk, infused with fenugreek seeds. This brownish-red rice is often accompanied with fish curry, coconut gratings, eggs and pickled vegetables like cucumbers, chillies and radish. The combination of coconut milk with the seeds gives it the characteristic taste and flavour. 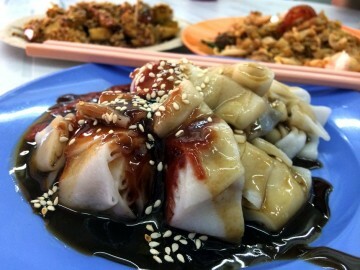 Also read: 9 Bizarre Foods in Malaysia — Can You Stomach Them All? On your trip to Malaysia soon, make sure you try all these different preparations of nasi in your food list.